During the consultation appointment, you will have the opportunity to meet with our treatment coordinator to discuss your insurance policies and financial options. It is our mission to provide you with affordable, high-quality treatment that fits your budget! We do not want finances to be the barrier that keeps you from achieving the smile you desire and deserve. There are a variety of payment options available to meet your needs and we will work with each patient to customize a plan that works for you. Payment plans can be set up to help spread out the cost, thus making orthodontics surprisingly affordable. If you have any questions about financing or payment, please ask us! We will thoroughly explain your choices and work hard to accommodate your needs. We are providers for and accept most major insurances. Clearly, insurance policies vary greatly and can be very complicated. So we will personally assess your insurance to determine the appropriate course of action and review it with you before you make any decisions. Once treatment has begun, we would be happy to file claims for services on your behalf. 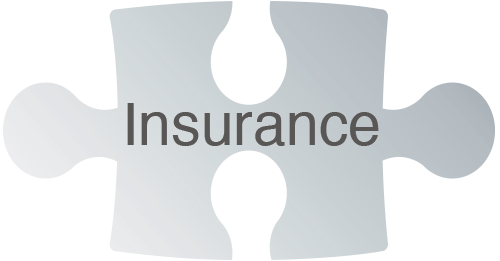 To help us with your insurance filing, please be sure to provide us with the most updated insurance information and complete the insurance questions on our questionnaire. Please remember that orthodontic insurance is a benefit for you or your child. If, for some reason during the course of treatment, your benefits change, the financially responsible party is accountable for all charges.